The ICC in the Central African Republic: The Death of Deterrence? Rebels in the Central African Republic. Photo: Rebel in northern CAR 02/Wikimedia Commons. Editor’s note: this article was first published on JiC on 11 December 2013. The Central African Republic (CAR) is “descending into chaos“. In the past few months, violence and instability in the country have proliferated. In November, the French Foreign Minister even used the ‘g-word’ to describe the situation in the CAR, declaring that ”[t]he country is on the verge of genocide”. Jean Ging, of the UN’s Office for the Coordination of Humanitarian Affairs, similarly suggested that the country is sowing the “seeds of genocide“. 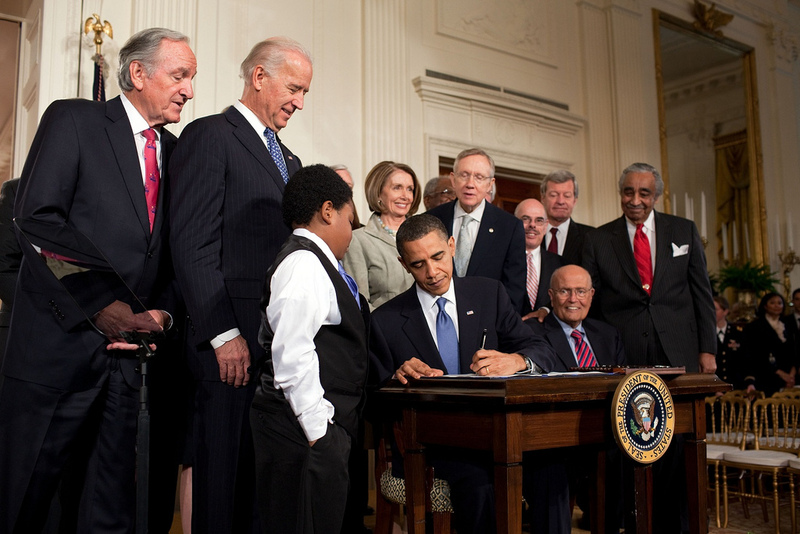 Barack Obama signing the Patient Protection and Affordable Care Act at the White House. Photo: Pete Souza/Wikimedia Commons. Obamacare, now in its awkward early stages of implementation, is the American military’s ticket home. The completion of the last element in America’s welfare state –the last strand of the social safety net—is likely to end the security welfare system America provides for its allies. Sukhoi Su-35S. Photo: Alex Beltyukov/Wikimedia Commons. In March 2013, Russian and Chinese media reported that Beijing was acquiring significant quantities of advanced military equipment from Russia. Among the multi-billion dollar systems to be bought by the Chinese military are six Lada-class attack submarines and 35 SU-35 fighter jets. These acquisitions are significant because they are sophisticated systems and it has been more than a decade since China purchased any significant weapon systems from Moscow. 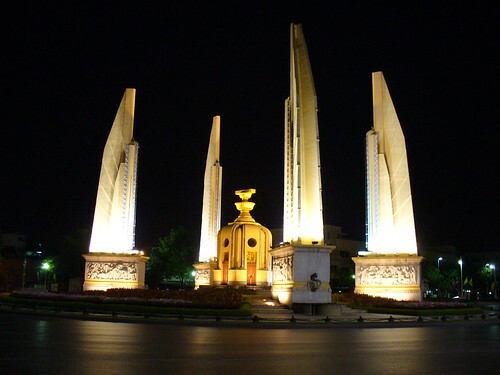 Democracy monument in Bangkok, Thailand. Photo: David Villa/flickr. BANGKOK – From Thailand to Turkey to Ukraine, the relationship between ruling majorities and electoral minorities has become combustible – and is threatening to erode the legitimacy of democracy itself. The unfolding crisis in Bangkok – where a political minority has taken to the streets to bring down Prime Minister Yingluck Shinawatra’s democratically elected government – is a case in point. Yingluck’s Pheu Thai Party (PTP) won an outright majority in Thailand’s 2011 general election, gaining 265 MPs in the 500-member lower house. But the opposition Democratic Party – which returned 159 MPs, mainly from Bangkok and southern Thailand – has lately been staging protests in the capital. The so-called “People’s Committee for Democratic Reform” – led by former Democratic Party MP Suthep Thaugsuban and supported by the Bangkok-based establishment – has effectively attempted to stage a coup.